Learn what they are doing. 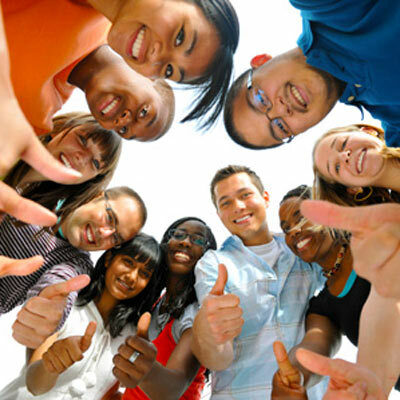 We envision a community where young people live safe, healthy and productive lives free from alcohol and drugs. We hope to accomplish this through collaboration, education, advocacy and empowering youth. We are a partnership between community members and various agencies, schools and organizations in Hillsborough and rural Orange County concerned about the issue of underage drinking and drug use. Using an environmental perspective, we address youth access to alcohol, policy enforcement, youth empowerment and social norms. The Partnership is an initiative of Healthy Carolinians of Orange County and is housed at Freedom House Recovery Center. It is supported through community donations as well as local and federal grants, including the Orange County ABC Board and the Drug Free Communities Support Program. Underage drinking and drug use is not a rite of passage. Early use of substances hurts our young people and hurts our community. By working together, we can help youth succeed and reach their true potential. Interested in learning more about Orange Partnership? Join us at our next meeting on Wednesday, May 15, 9am - 10:30am at the UNC Hospitals Hillsborough Campus (room 10011). Any and all are welcome! For more information, email gayane.c@fhrecovery.org. News of Orange Column: Talk It Up! Check out our most recent News of Orange column, NC Alcohol Sales and the Health of Our Communities, to read about a recent report from the state's Program Evaluation Division and a breakdown of their recommendations about alcohol sales methods in NC. Make sure the youth in your life stay safe and healthy: help us spread awareness about prescription drug abuse and how to prevent it. A limited number of Rx drug lock boxes are available to residents in Hillsborough and rural Orange County. If you would like a box, or would like to help sponsor this initiative, please email Gayane Chambless at gayane.c@fhrecovery.org.